Choose from a suite of payment processing services to customize the perfect package for your business. 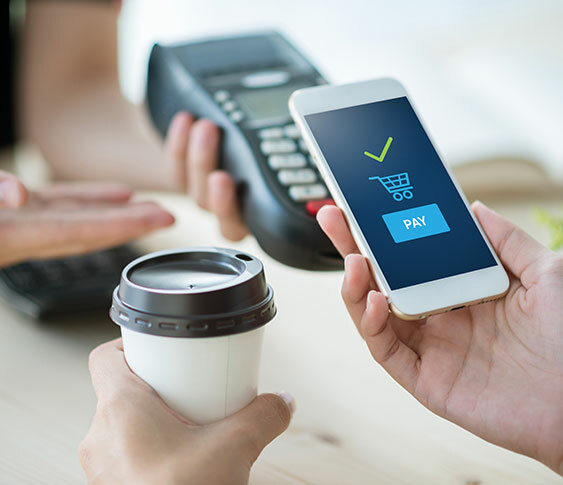 Depending on the type of business, a merchant can accept electronic payments with a countertop point-of-sale (POS) terminal, wireless terminal, mobile processing terminal and/or virtual (web-based) terminal. A POS system is a stationary conglomerate of hardware and software that works together to process electronic payments. 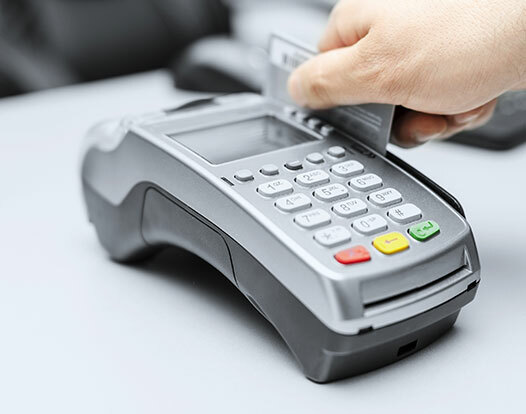 Customer-facing components of a POS system are card readers, where payers can swipe, dip or tap their payment cards, and integrated PIN pads for online debit transactions. 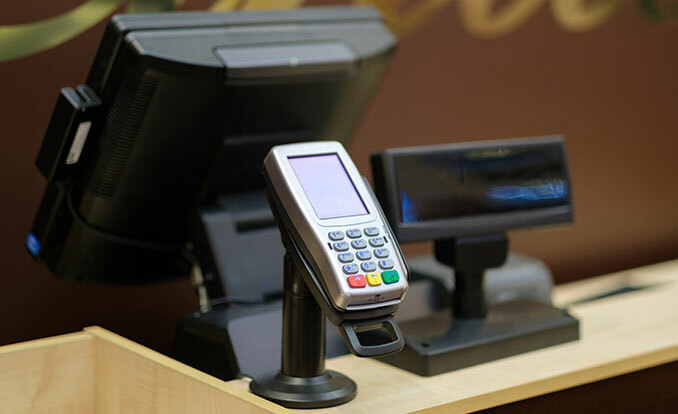 Merchant-facing POS features are computer monitors, touch screens (or keyboard, mouse and screen), scanners that read bar codes on products, cash drawers and receipt printers. Customer pole displays (to show what the customer is buying and the total amount), check readers (to convert paper checks into electronic checks) and signature capture devices (to digitize customer signatures) can also fuse with POS systems depending on business needs. The computer component of the POS terminal runs software that sends payment information through the authorization process to approve or decline transactions. POS terminal software can also generate sales reports, capture customer data, keep track of employee hours, manage inventory and perform a variety of other customized functions to streamline business activities. POS terminals are common at the checkout stands of fixed-location retail stores. We offer a range of equipment including Clover point of sale products. A wireless terminal is a more versatile payment processing option for a merchant on the go. Wireless terminals work through a connection between one or more internet-enabled handheld devices, such as tablets, and a central POS system. For example, a restaurant with wireless terminals connected to a central POS system lets customers order and pay directly from the table. They can also work as stand-alone terminals that move with merchants anywhere within a wireless network. A wireless terminal would suit a professional who travels to clients’ homes, for example, or a business that goes to a lot of trade shows and needs to process payments remotely. Card readers with keyboards and receipt printers are features of wireless terminals. Mobile processing terminals operate through smartphones, tablets and other handheld mobile devices. Merchants can download application software directly onto their mobile devices and enter customers’ card information manually. The software encrypts the data and sends it securely through the authorization process. Or, to avoid keying in payment information, smartphones easily connect to card readers where customers can swipe, tap or dip their payment cards. Mobile processing solutions offer portability and secure online payment platforms, making them perfect for pop-up shops or any other mobile business. Virtual terminals let businesses accept card-not-present payments. The merchant can manually enter the customer’s payment information onto a virtual terminal hosted by a service provider and accessible through any web browser. A virtual terminal is often used in conjunction with an online payment gateway, which provides a payment form where customers can enter card information directly. Virtual terminals are common for mail order/telephone order (MO/TO) businesses, while payment gateways are necessary for any ecommerce website that lets customers enter their payment information to make online transactions. The more payment options a business offers, the greater customer reach and customer satisfaction it will gain. Offering a combination of user-friendly, secure processing solutions tailored to specific business needs, and potential needs, gives merchants scalability in a competitive economy.